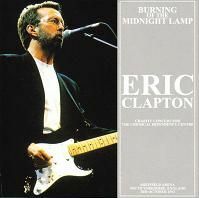 This recording from July 20th, 1974 comes from the second night at Long Beach Arena during Eric Clapton's first tour as a solo artist. Both the 19th and 20th were recorded professionally and some of these tracks have been featured on the Polydor releases EC Was Here and the live box set Crossroads 2: Live in the Seventies. This show has been released many times before on CD including Driftin' Blues Revisited (BGS1993), EC Live At Long Beach Arena (Dynamite Studios), Long Beach Arena 1974 (Standin' Pig Records), Slow Down Hand (Bell Bottom), discs 3 & 4 of the EC Is Here box set (EC Is Here DJ Copy) and Deep Inside (Beano). In December of 2008, Mid Valley also featured this as part of a very expensive lavish 8CD box set called Blues Explorer containing both nights from Long Beach and two nights from Hammersmith in December 1974, much like the EC Is Here box set. Deep Inside from Beano was the first title issued to have a complete "Blues Power". Deep Inside (no label) sounds almost identical to the Beano title and was more than likely sourced from it. Bell Bottom's title is a bit louder in volume than both versions of Deep Inside but sounds flat in comparison. Since Beano has been sold out since its release, a reissue was well overdue. The recording is very complete starting with a three minute introduction including "Pinball Wizard" playing over the P.A. before the introduction by "Legs" Larry Smith. 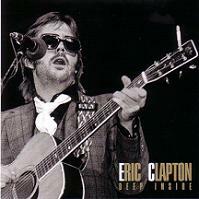 Clapton opened many of the 1974 shows on acoustic guitar with George Terry handling the electric. "Smile" is played at a great tempo and "Easy Now" from Eric's debut solo LP features some great vocal harmonies. By the time they tear through "I Shot The Sheriff" you know it's going to be a exceptional night. Possibly due to the fact that they were recording, the entire show seems somewhat fast paced and may be the reason this is one of the best from the tour. This certainly helps with "Little Wing" which had a tendency to really drag some nights. Clapton also sounds sober with more focus on his performance and is evident in such tracks as "Layla" and "Willie And The Hand Jive/Get Ready". The first few notes of "Can't Find My Way Home" are inaudible while the track fades up at the start of disc two. This has Yvonne Elliman and Clapton sharing the lead vocal in harmony and has a tasteful acoustic solo. EC continues on acoustic again for "Driftin' Blues" and during George Terry's solo Eric can be heard plugging in his electric and tuning. Clapton signals the key change and segues into "Rambling On My Mind" where he takes over on slide guitar for awhile. "Presence Of The Lord" is very emotional and has several moments of inspiration. "Crossroads" starts very funky and has a real interesting feel tonight making it one of the more obscure versions. The first encore has Clapton doing his best Chuck Berry with "Little Queenie" and says "My brain hurts, I can't think" in one of the verses and calls out to Legs Larry Smith during another. This segues very nicely into "Blues Power" which unfortunately has the bass noticeably out of tune and is the only "fly in the ointment" here. With so many great performances from this show, it is easy to see why so many of the tracks were featured on official releases. Near flawless, this is a truly great Clapton concert that should be enjoyed by everyone. Thanks to this new no label release, we get a second chance to snag what I consider to be one of the best sounding versions. Definitely an essential part of any Eric Clapton collection.